1: From EDSA, take Shaw Blvd. (if you are southbound - turn right after StarMall, if you are northbound - turn right after EDSA Central towards Shangri-La Plaza Mall and Pasig City, take the U-turn slot under the flyover. 4: Make another LEFT (Socorro Fernandez) and you will see Cookbook Kitchen after the curve. The place is cozy and homy. 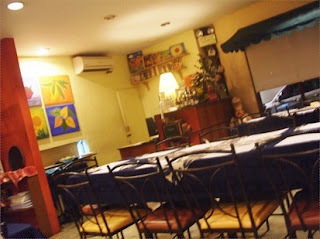 It is a good place to hangout with friends and family with good food. For us, Cookbook Kitchen serves a fusion of Italian, Country and Filipino food. We ordered Seafood Basket for appetizers. The Seafood Basket is a mixture of deep fried Breaded Fish Fillet, Onion Rings, Fries, Shrimp Tempura and Calamares served with Honey Mustard Dip and Tempura Dipping Sauce. The food is cooked just right and served hot. A good snack before the main course. 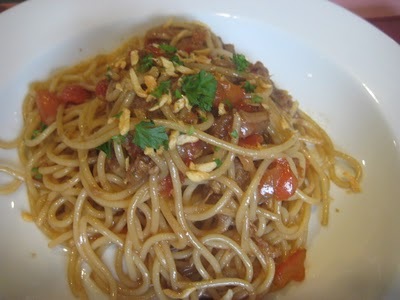 The Adobo Pasta, one of Cookbook Kitchen's signature dishes. A fusion of Italian and Filipino Cuisine. Mixing the Filipino adobo with pasta seems like it would lead to a bizarre combination. Fortunately for us, and for other foodies, the combination is just right. It is an amazing dish and a must try. Parmesan Crusted White Fish is the other signature dish of Cookbook Kitchen. 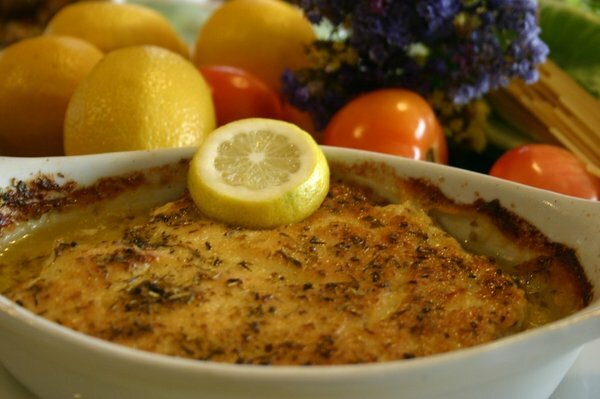 It is Class-A Dory fillet, with olive oil, covered with parmesan cheese and spices baked to crisp. The dish is cooked just right. Though the olive oil maybe too much for some, a moderate amount of this would leave you asking for more. We had Kittin's Scarlet Cake for Desert. 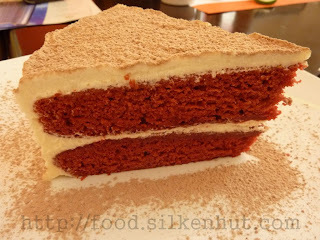 At first we were just attracted with the scarlet color and the presentation but the texture and taste complement each other. Not too sweet when taken in moderation. The powder also adds a different twist to the taste (try it with the powder and without). We had Golden Iced Tea as our beverage. It is a homemade brew and made just the way we like it. They also serve red and green iced tea. Tip: When you order unlimited Iced tea of any flavor, you can have a sample the other flavors on your refill. 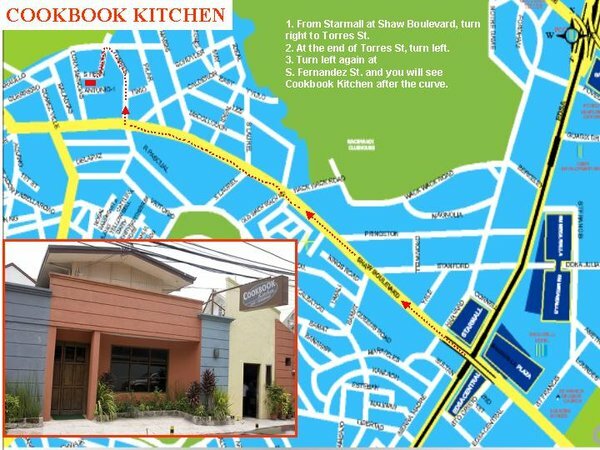 It will cost you around Php300 to Php500 to dine well in Cookbook Kitchen. If you are a group, like us, you can share the food and try most of the selections and it would cost you less. 7: This is a must try for any foodie and an enjoyable experience for even the casual customer. A good restaurant to recommend to friends and family. With the affordable price, and the good food, you'll just keep coming back for more.